So reads a recent letter from Ann Cooper who is trying to close a $360,000 budget gap in her makeover of school meals in Boulder. She’s upended the menu, replaced cheesy pretzels and Eskimo pies with chicken pot pie and pasta Bolognese, she’s brought in a crew of professional cooks and aligned the kitchen’s computer system with the 21st century. Now all she needs is about 1,000 more kids to open their wallets and start buying lunch instead of bringing it from home. Coordinating volunteers to push the case for the revamped menu is a recent college graduate and Cooper acolyte, Sunny Young. Originally from St. Louis, she saw Cooper speak at a sustainable food event and was moved to ask for a job. “She said, ‘Well, I’m always taking interns,’ and she handed me her business card. I carried that card around with me for almost two years,” Young recalled. After a year abroad in Madagascar, she called Cooper looking for that internship and moved to Boulder, waiting tables to pay the rent, taking meals in school cafeterias to augment her food budget. Now Young works out of an office near the maintenance shop at school district headquarters, her salary paid jointly by the schools and a $150,000 grant from the Colorado Health Foundation aimed at increasing participation in the federally-subsidized meal program in Boulder schools identified as having low participation rates. One of the interns involved is Erica Goodman, a graduate student in journalism at the University of Colorado, Boulder, who grew up on a dairy farm in upstate New York and is particularly interested in food issues. “I wanted to learn more about what they were doing here that might help me connect my family’s farm with schools,” Goodman said. 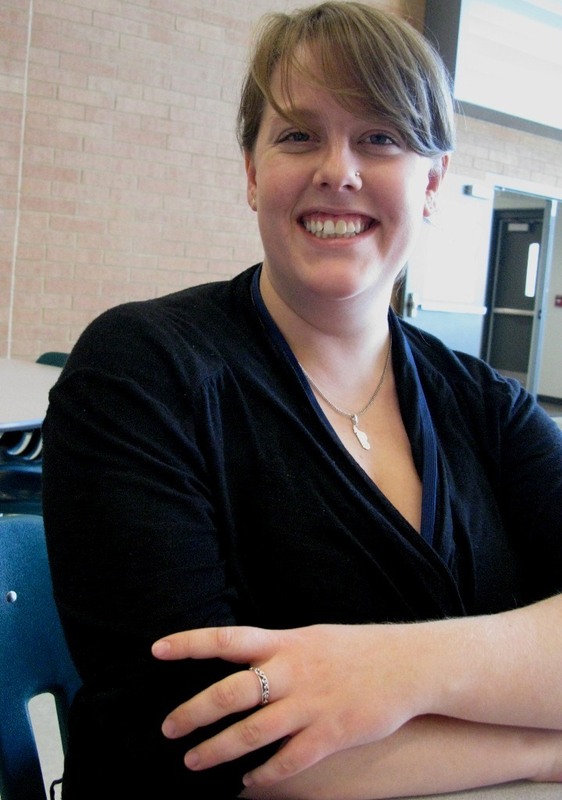 Her assignment is to target schools with low lunch participation rates, find the kids who are bringing lunches from home and offer them samples of the food being sold in the meal line. She stalks the cafeteria with trays full of pasta or taboulleh in litle paper dispensers. Sally Handy is a former school teacher from Vermont who moved to Boulder around the same time as Ann Cooper when her husband got a job teaching law in Denver. She’d been following Cooper for years and wrote a number of letters trying to get a job with the School Food Project to no avail. 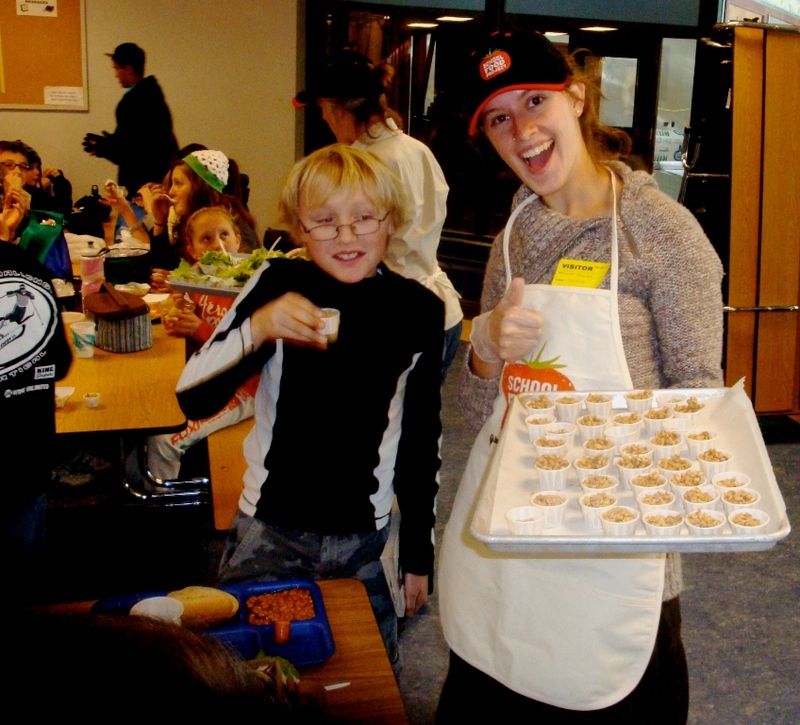 Then she got tapped to coordinate other parents who had volunteered to help conduct tastings and otherwise coach students about healthier food choices. Other parents have help by donating money. Cooper originally projected that Boulder’s School Food Project would require between $750,000 and $1 million in private donations to pay for upgrades to kitchen equipment and staff training. For instance, she spent $45,000 to enroll her staff of more than 150 kitchen workers in a ServSafe food safety course. Another $100,000 was spent to retrofit five production kitchens. Refrigeration and heating equipment for the kitchens required an outlay of another $250,000, Cooper said. Some of the money has come from local philanthropists. The regional Whole Foods contributed around $100,000. Fund raising events continue on a regular basis. A dinner at a local farm in December featured a menu groaning with items donated by Boulder’s chefs: Colorado bison with a sasparilla reduction, farro and arugula with cumin-scented yogurt, local mushroom with roasted onion, scapes and ramps, wild blueberry and rhubard crisp. One of the items at a live auction was a whole hog donated by a local farmer. In response, a local butcher auctioned a short course in how to turn that hog into roasts. The auction raised more than $10,000. 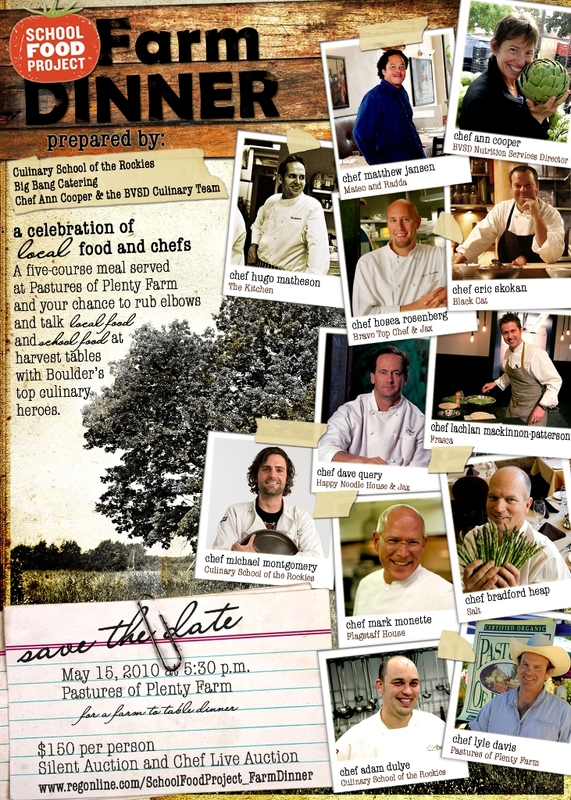 Boulder chefs are currently engaged in a series of fund-raising dinners where contributors get to sample cutting-edge culinary fare. Hugo Matheson is the father of twin 7-year-old boys who attend Boulder schools and co-owner of a popular bistro called The Kitchen. He has actively supported school gardens in Boulder, and now has thrown his weight behind Ann Cooper’s cafeteria re-design. On Mondays, The Kitchen holds “community nights,” when 20 percent of sales from a fixed-price $35 menu go to the School Food Project and the Growe Foundation. Sixty-five supporters attended one fundraiser at The Kitchen where Ann Cooper spoke. They dropped checks worth $65,000 in the School Food Project kitty that day. A private family foundation paid the nearly $14,000 cost of running 18 separate ads, Tawse said, in addition to thousands of dollars worth of hours she and her staff have donated to the cause. They’ve also used the local newspaper to publish coupons for free lunches in the schools, paid for by an anonymous local donor. Coupons were also being distributed in elementary schools on Fridays. “I think we’ve redeemed 5,000 of those coupons already,” Cooper said. Cooper’s kitchen crews are even trying to make converts out of the district’s athletes. They’ve been feeding Boulder’s football teams at home games and when they travel. Students have signed up for “iron chef” competitions to develope recipes that can be served in the cafeterias. The winners so far: sloppy joes, jicama slaw and baked potatoes stuffed with cheese and broccoli. So is it working? 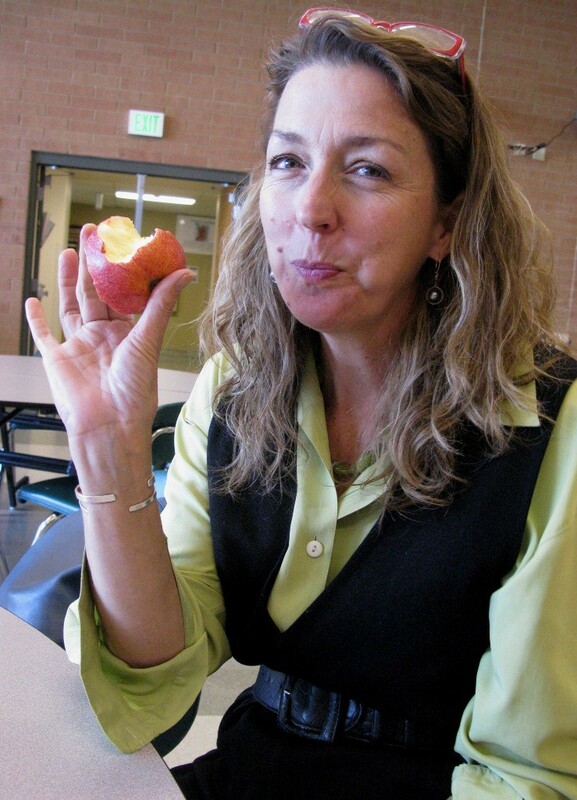 Are Boulder’s kids buying the new and improved school food? The day I visited Casey Middle School, where the a la carte line has been dismantled and the choices were re-designed nachos and hamburgers on whole wheat buns, the kitchen served 223 lunches, compared to 149 a year ealier. At Columbine Elementary School the following day, the lunch laides dished up 296 slices of freshly-made pizza, a new record. According to Cooper, who closely monitors meal participation district-wide, the numbers look good. She may manage to break even this year, ahead of schedule. It took her three years when she remade the food in Berkeley, Calif.
I’m inspired by your stories of the changes that have been made in Boulder and DC. 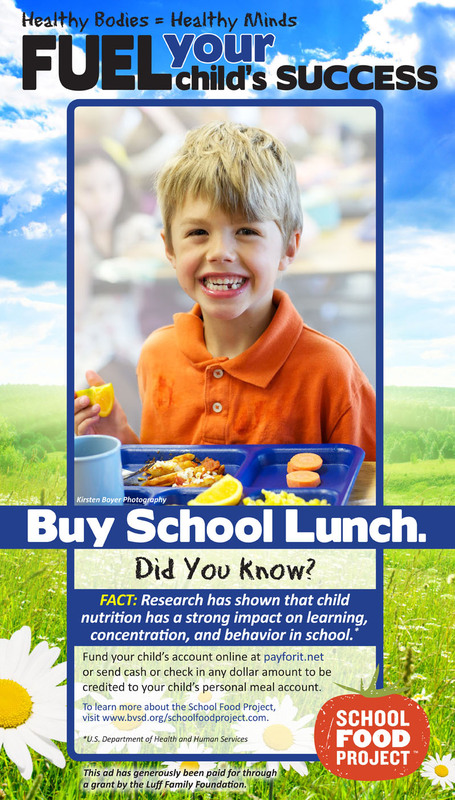 Have you heard of any poor rural school districts who have been making some progress in improving school food? I’m discouraged about changes in our smallish school district. We don’t have parents who would donate tons of money – no one makes very much. There are no celebrity or local foods chefs who will volunteer their time to help improve meals. We do have lots of children on free or reduced lunch, which qualifies them for free breakfast, too, so the school district knows they have (I’m guessing) 75% participation w/government subsidized meals. I know the food service director has attempted to make healthier choices, using whole wheat buns and offering a very limited salad bar (chopped lettuce, grape tomatoes, broccoli flowerets) and sometimes fresh fruit. But how can a rural, smallish school district take it further? And what could a couple motivated parents do to help the progress along? I am impressed by the way you covered this topic. It is not often I come across a blog with captivating articles like yours . That was a very helpful piece – thanks!